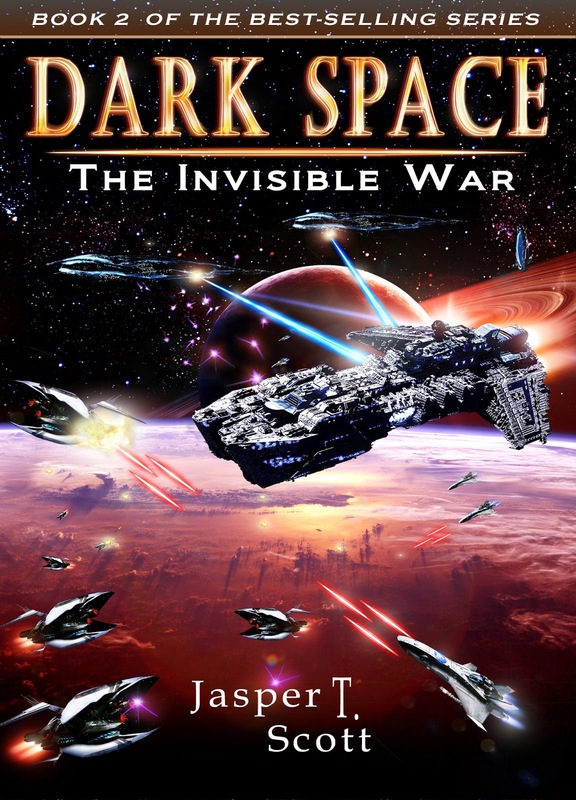 The Sequel to the #1 Best-Selling Space Opera in the UK, Dark Space. Ethan Ortane has just met his long lost son, Atton, but the circumstances could have been better. After a devastating bio-attack and the ensuing battle, they've fled Dark Space aboard the Defiant to get away from the crime lord, Alec Brondi, who's just stolen the most powerful vessel left in the Imperial Fleet--the Valiant, a 5-kilometer-long gladiator-class carrier. They need reinforcements to face Brondi, but beyond Dark Space the comm relays are all down, meaning that they must cross Sythian Space to contact the rest of the fleet. Making matters worse, they are low on fuel, so they can't jump straight there. They'll have to travel on the space lanes to save fuel, but the lanes are controlled by Sythians now, and they are fraught with entire fleets of cloaked alien ships. With Brondi behind them, they can't go back, and they can't afford to leave the last human sector in the galaxy to the crime lords, so they must cross through enemy territory in the Defiant, a damaged, badly undermanned cruiser with no cloaking device. Making matter worse, trouble is brewing aboard the cruiser, dropping their chances of survival from slim . . . to none. I have been trying to purchase. Dark space OK. The Invisible War. All to no avail. Amazon just doesn't show it at all. How do I get one??? Just finished with book 2 in the Dark Space series. DS3 - Origins, as of this morning. Ever since I completed Jeff Carver's Chaos Chronicles series, I have been looking for another great space adventure series. These Dark Space books are very entertaining. If you like exciting, easy to follow, shoot-em up, action packed bad guy against the good guy reading, you're going to love this series. Great storyline, not too transparent. Lots of interesting characters to keep track of, that's good. Forlax II a bit lengthy. For a few pages there, it was kind-a-boring to me. But then they jumped (SLS) to Odaran and out of their immediate trouble, right into the frying pan. I'm already looking for my copy of DS4, can't wait to get deeper into book three. I'll probably be up all night again. Thanks for sharing your gift of writing. Thank you for your feedback and your appreciation, Gaylon! I hope you've continued enjoying the series since writing this post. Just finished dark space and was asked to sign up for a free dark space 'll. How do I get to it? Hey there William, please e-mail me at jaspertscott@gmail.com if you haven't already, and I'll be happy to help. I really enjoyed the first book and now hope to get the second. One problem I have a NOOK and well its not available except in paperback. Actually after the first book as a NOOK owner I'm a bit out of luck for the rest of the series and that isn't good. Where can I get the second book? Seems the links to nook are wrong and a search on their site does not find you . It seems you have been de-nooked. Couldn't even post a review for the first book, which was an excellent read. David. Hi Jasper, apart fro Dark Space, why are your other books not available from iBooks UK?